Lonndonexecminibuses.com currently holds a International licence. "We had Kate as our driver who was lovely. She was so understanding and really helpful. The journey went quickly and smoothly and she arrived on time both ends, offering to pick us up early if we needed her to as we were out at a club. I would definitely recommend exec minibuses and if need a bus again I’ll be using them and asking for Kate. Thanks so much!" "6/5! We booked a minibus for a return trip from London to Peak District as we were going on a hike. This company is amazing and I would defo use them again! Our experience with London Exec has been beyond superb from when we were arranging the booking with Larry to the day of the trip with John. John was incredibly understanding and an excellent driver. Thank you! p.s sorry about all the singing on the bus, we hope we didn't give you a headache." "Had a minibus booked to collect my Daughter and her friends from Electric Brixton. The night before the girls were due to attend, there was a stabbing incident at the venue. I was extremely concerned for the girls safety as its not an area I know and was worried about how they would find the driver late in the evening. Nothing was too much trouble for the driver. He made sure that they had his mobile number and met them directly outside the venue and escorted them to the minibus. He even turned up early in case the event finished early....which it did!! Super impressed with London Exec. Would highly recommend and definitely use again." "Everything was brilliant driver, mini bus didn’t have any problems and very well priced"
"The whole experience was problem-free. Good communication before the trip, on the day before arrival. We were 9 going from Cardiff to London. The minibus took a lot of luggage. Wholly satisfied." "Seemless from start to finish. 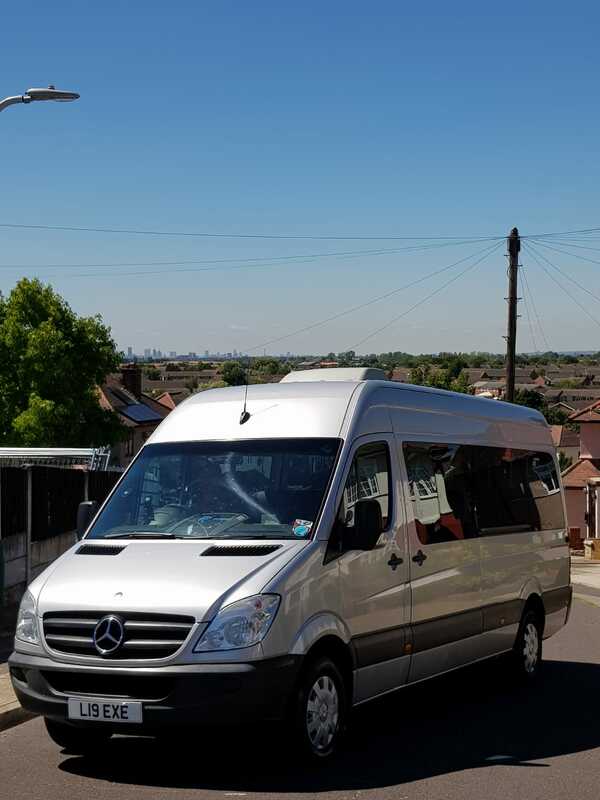 Ray the driver was brilliant, bus was great, best quote we received and would highly highly recommend"
"So professional - whole experience was super smooth from the point of quote and booking to the journey. 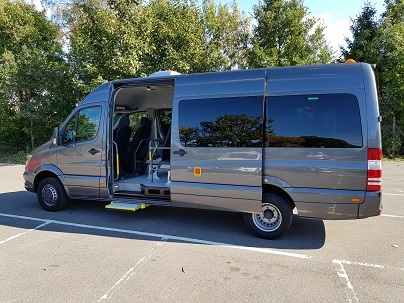 Our driver was so courteous and accommodating, arrived early, vehicle was fantastic, very comfortable, felt like we were travelling in style, Wouldn't hesitate to book again and highly recommend!" "On time pick up and drop off, friendly, professional service, and great value for money - I would recommend"
"Our Driver JOHN was great he was helpful and reliable . He drove safely and was friendly and polite"
"The journey was great. John our driver contacted me ahead of the trip and arrived before the agreed time. This was ideal as it gave an opportunity to load baggage for 12 people and still get away on time. John was personable, well presented and the 3.5 hour run down to Stansted was a pleasure. We were given clear instructions for the return journey. Again John contacted me ahead of collection. As requested I rang him as we had all collected our baggage from the airport carousel. John was parked 3 minutes and advised he would make his way to quick collection away. The 12 of us walked outside and John pulled up. He loaded our baggage and we were on our way. Another good journey and we were home. We couldn't thank John enough. I can't fault the communication and overall service - well recommended."